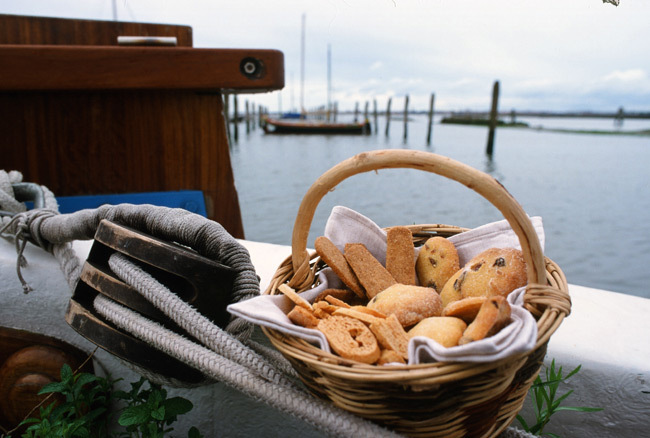 Tour Unknown Venice with Me: Sign Up for Our May, 2017 Culinary Cruise! 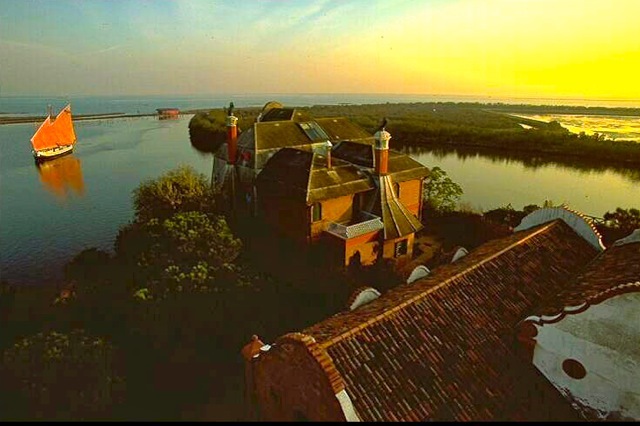 Almost in the very middle of this little sea, enclosed between the water and the sky, lies Venice, a fairy vision, risen as if by miracle out of the water that surrounds it and like green shining ribbons, cuts through its beautiful body. 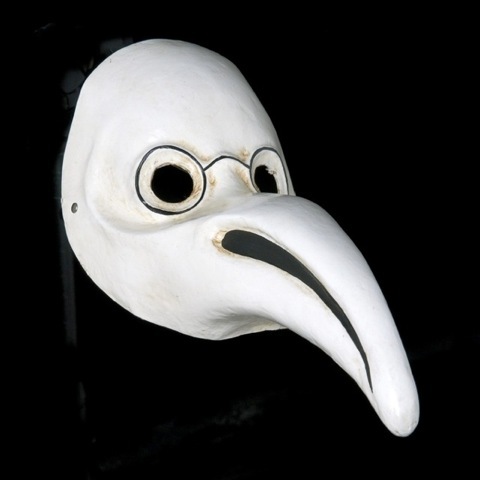 So wrote Giulio Lorenzetti, in his famous 1926 guidebook, Venice and its Lagoon: A Historical and Artistic Guide (updated in 1994 and still the most authoritative source). 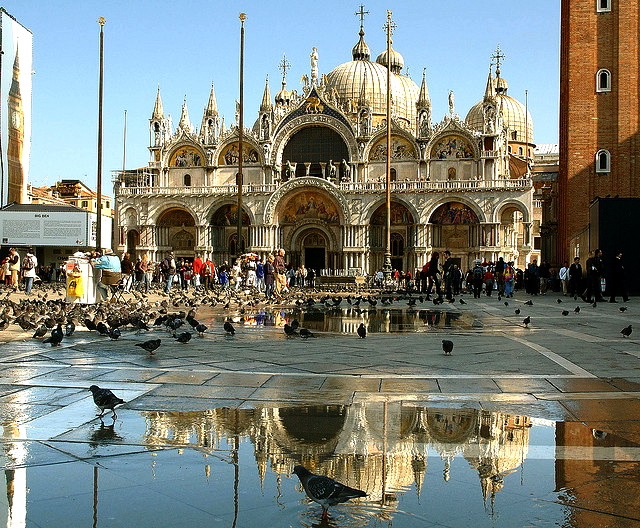 Yet there it is, the ancient “Serenissima,” a glittering city decorated with gold, arising out of the lagoon, firm and fixed. We can barely grasp how architects could have imagined its plan and how century after century, its stones were put into place. 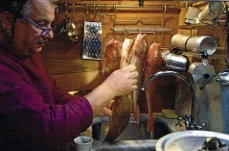 Host Mauro Stoppa in his galley. 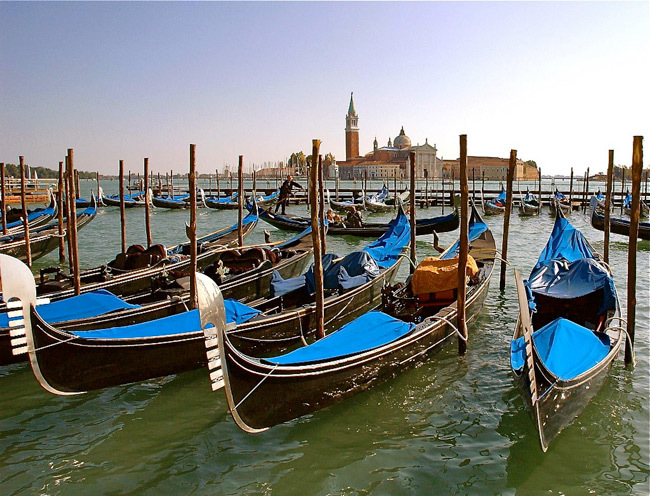 Venice was born in the lagoon, though to outsiders, it seems somehow completely separate from it. 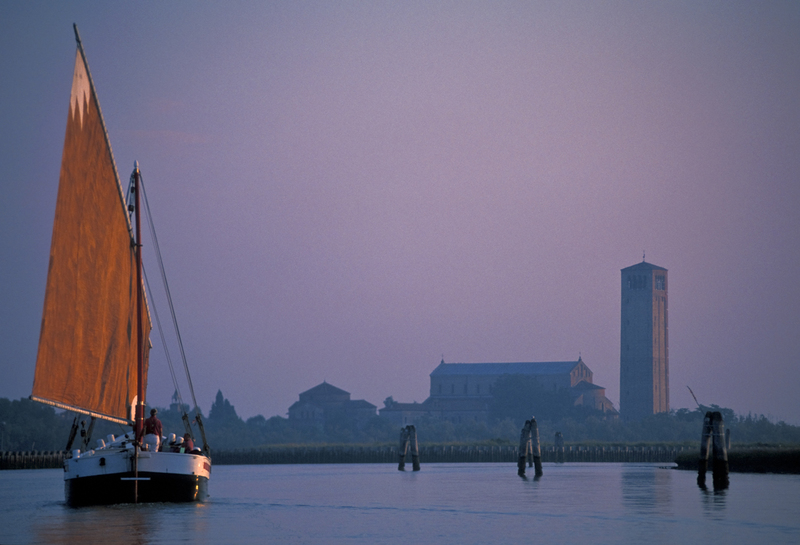 To really experience la Serenissima, the ancient city of waterways and light, you must ply its inland sea and visit its tiny islands (there are 30 of them, and 150 canals in the archipelago). 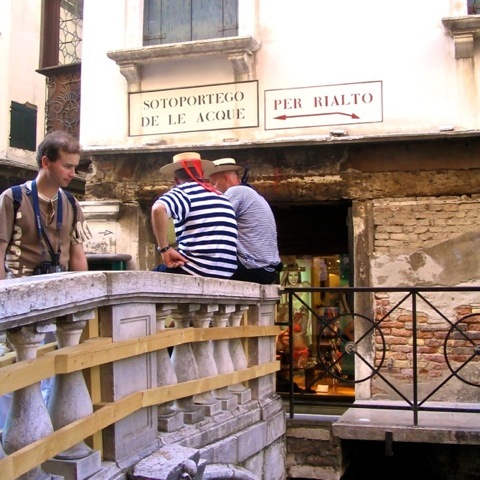 You need to go beyond the tourist route to find the bustling life of true Venetians that is hidden from the view of foreigners and to enter a quiet world of history, art, and nature surrounding the spectacle of Venice. 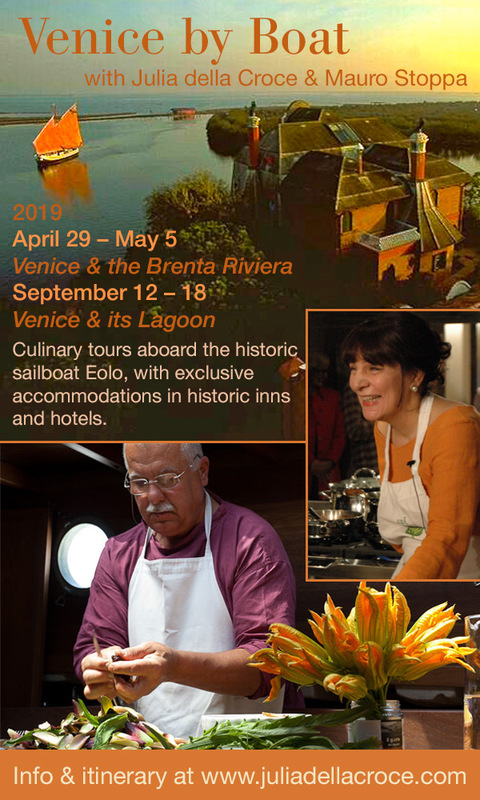 What better way to explore the real Venice than alongside a native son with deep roots in the natural world of the lagoon, and with an award-winning American food writer, journalist, storyteller, and one-time sailor who has intimately explored Venice and its cuisine? 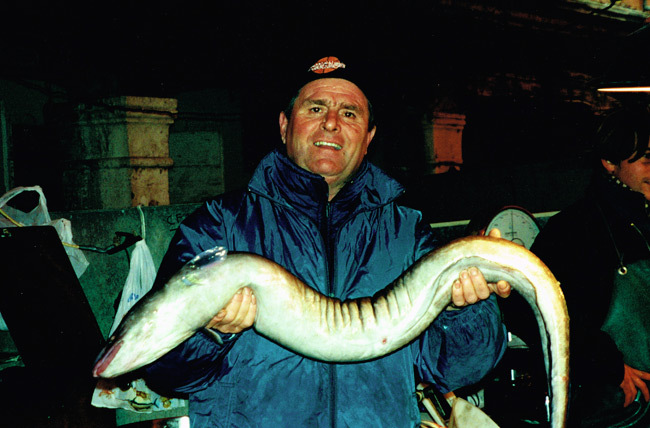 Come with me and Mauro Stoppa, a local hero and legendary skipper-chef on a unique six-day journey and see Venice behind the stage set for an experience of a lifetime. 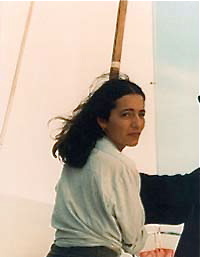 I began my cooking career on a 50-foot sailing ketch. 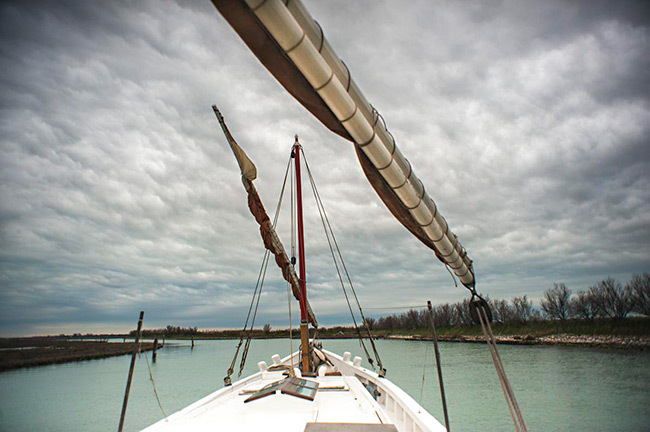 Sail its secret estuaries on-board the Eolo, a flat-bottomed sailing bragozzo constructed to navigate the shallow waters of the lagoon. 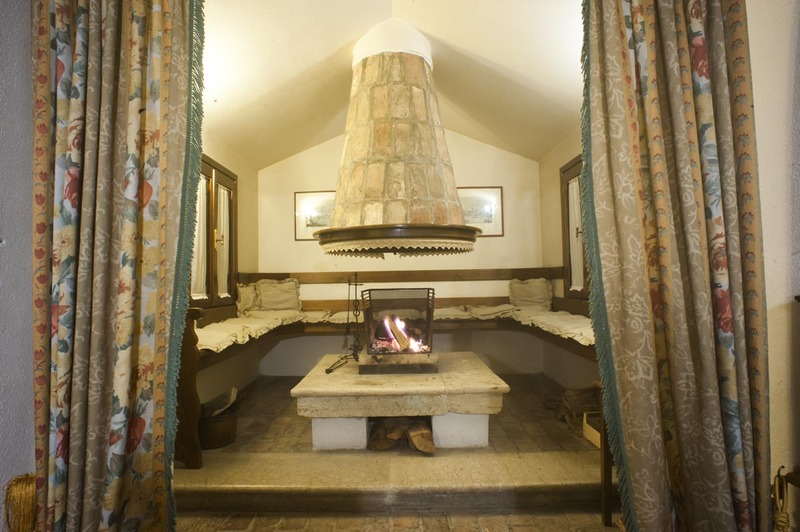 Built in the nearby port of Choggia in 1946, Mauro has lovingly restored the historic boat and appointed it for the comfort of an intimate group of guests. 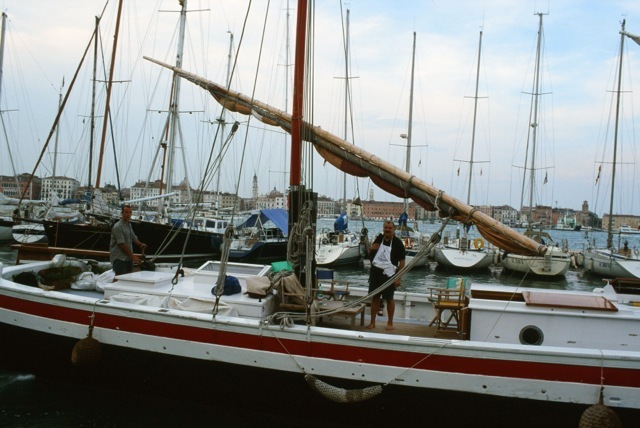 Be transported for six days on the archipelago’s waterways to the grace and rhythm of another time, far from the tempo of today’s battering pace and the throngs of tourists. 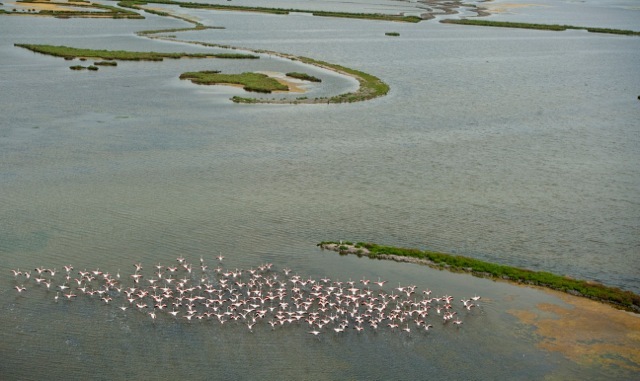 Immerse yourself in the natural life of this magical and mysterious place, see its unique flora and fauna, savor its seafood, wild game, and the fresh harvest of the lagoon islands in Spring. Drink the delicious “salty” wine that is made from local grapes kissed by the sea air. 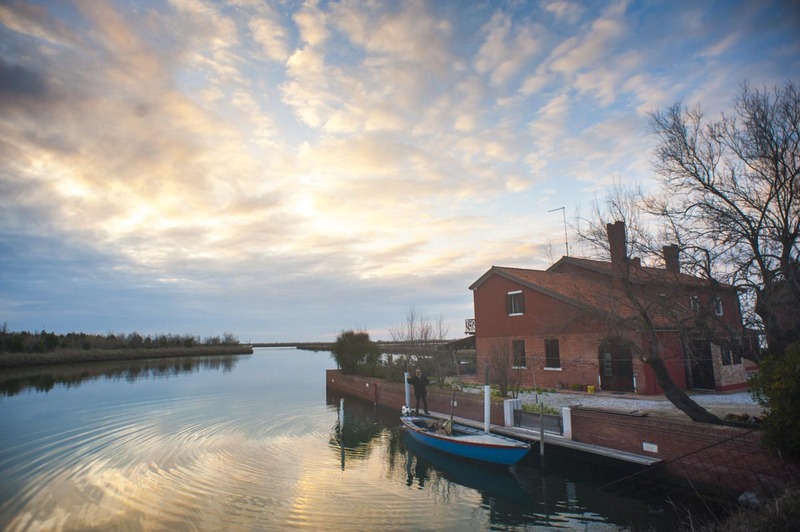 Discover nearby islands like Torcello, where Hemingway wrote parts of his Across the River and Into the Trees and hunted; refuge of royalty and international superstars seeking seclusion at Locanda Cipriani, the legendary inn still run by the Cipriani family. 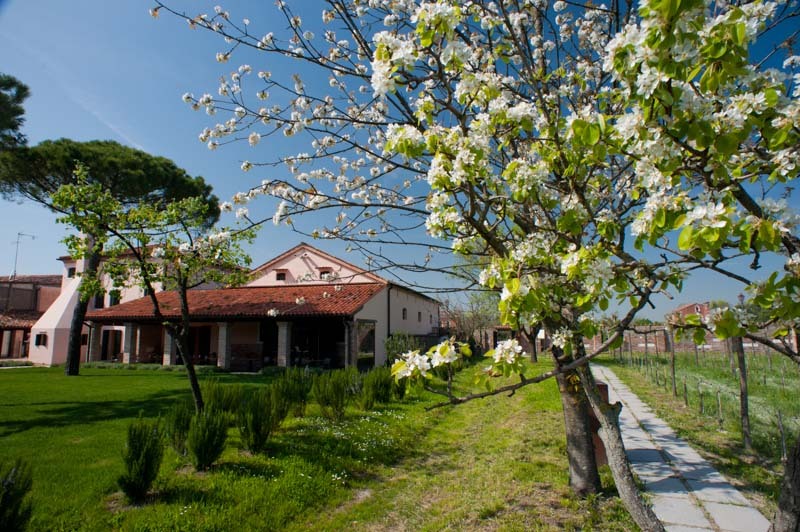 Visit Lazzaretto Nuovo with its Bronze Age ruins, where digs over the last 20 years have turned on its head the previously held notion that Venice was settled some 1,500 years ago by mainland tribes fleeing the Longobards. 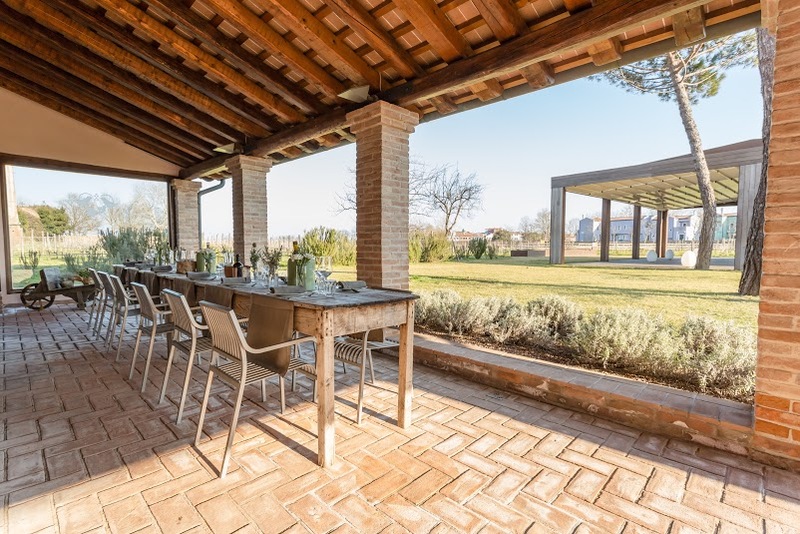 We will stop at Sant’Erasmo, a island of vegetable fields and orchards considered the “garden of Venice,” and untouristed Chioggia, whose ancient mercato puts the famous Rialto fish market to shame. 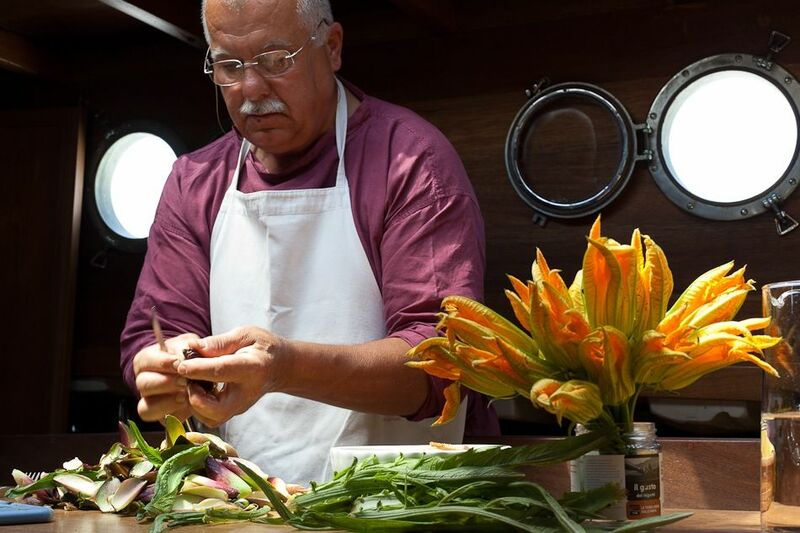 Afterward, feast on sublime meals from the galley, dreamed up by Mauro using the fresh local bounty of the day delivered directly from fishermen to our boat. 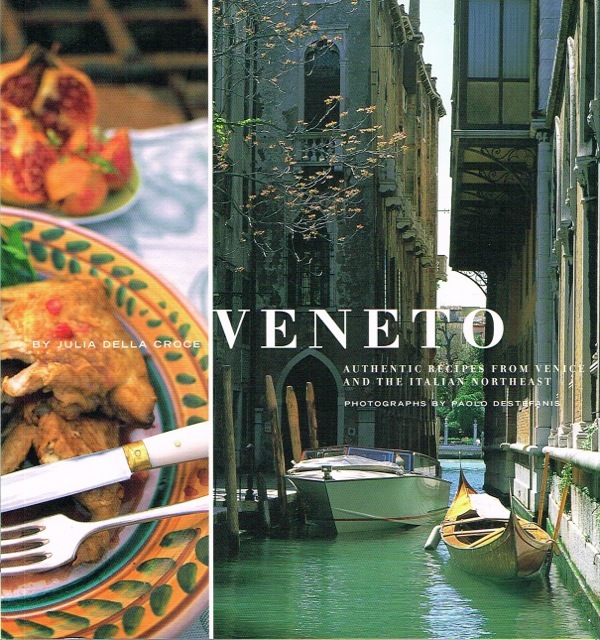 Dine in the best restaurants and stay in a Venetian palace belonging to one of the city’s noble families. 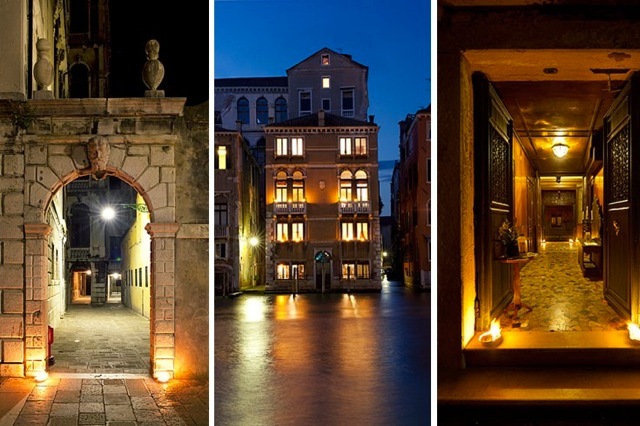 You’ll never get any closer to the real and enchanting essence of Venice. Can you resist? 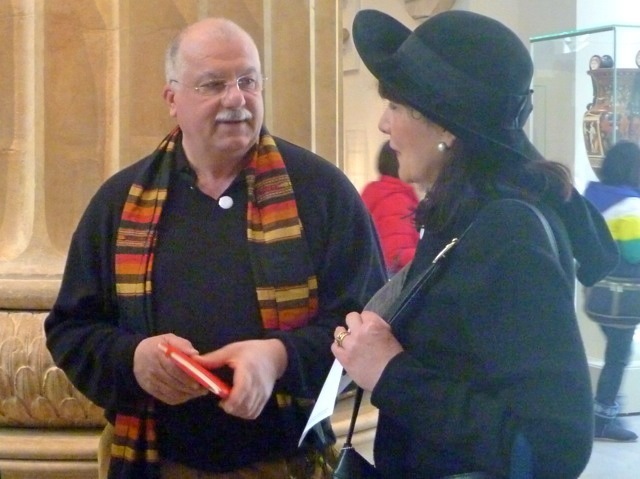 For information and reservations: Write to Mauro Stoppa at the following email address info@cruisingvenice.com. 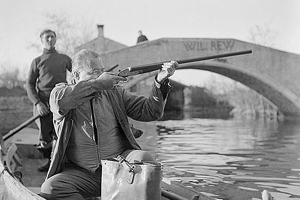 Will you be doing this tour in 2020?